I got this bag a few years back on the interweb, but it’s definitely a standout to for me. 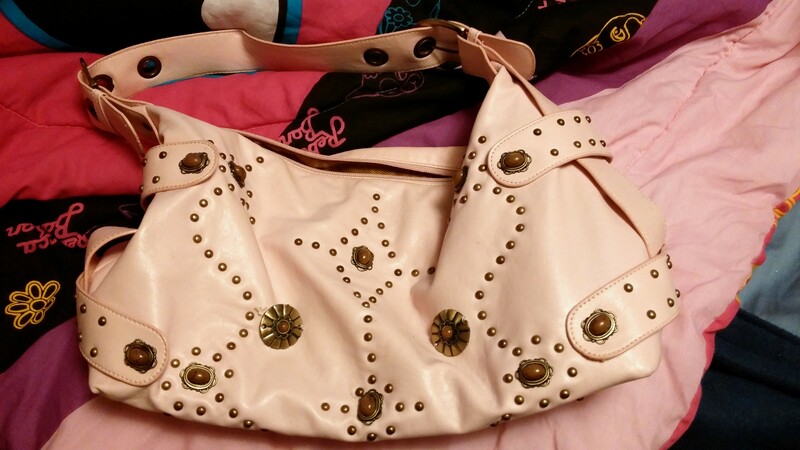 Not only is the baby pink stunning, it’s also a super soft leather that I love to pet. The amber beading reminds me of Native American culture and being in Cherokee, NC at the Indian reserve for many childhood vacations. The inside of this purse is so spacious, that I actually lost an ipod in it for like a year!! It has many compartments, even hidden ones, that’s how I lost the ipod. Lol. Anyways, I thought I’d share this lovely gem with you guys. Tell me what you think!